From nationalisation in 1948 to the completion of privatisation in 1997, the UK's main line railways were operated by British Railways, known from the late '60s as British Rail. 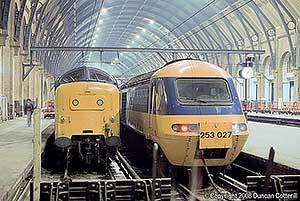 This gallery includes pictures from the BR era and locos in BR liveries after privatisation. The imaginatively named CrossCountry took over the Cross Country franchise from Virgin in late 2007 and inherited most of Virgin's fleet of Class 220 and 221 Voyager DMUs. CrossCountry is an Arriva subsidiary, hence owned by DB, and operates trains on a variety of routes linking major towns and cities via Birmingham. Class 170 DMUs are used on some shorter routes. 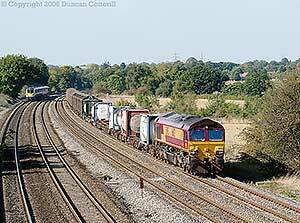 EWS, the UKs largest freight operator by a considerable margin, was taken over by Deutsche Bahn in late 2007. Just over a year later, EWS and DB's other European freight operations were rebranded as DB Schenker Rail. In early 2016 DBS was renamed DB Cargo. Relatively few ex EWS locos have been repainted into the red DB livery so far. 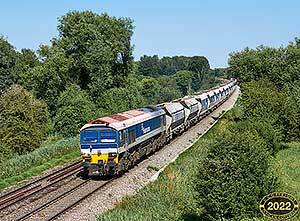 US regional railroad Wisconsin Central took over 5 of the 6 freight companies formed when BR was privatised and merged them to form the English, Welsh and Scottish Railway in 1996. 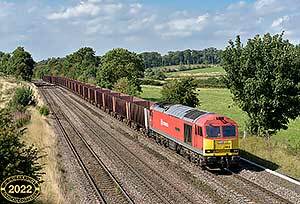 EWS was the UK's largest freight operator and was sold to DB in 2007 by Canadian National which had taken over Wisconsin Central. BR's intermodal freight activities were privatised in 1996 and retained the Freightliner name. The company has since expanded into other parts of the freight market under the Freightliner Heavy Haul banner. 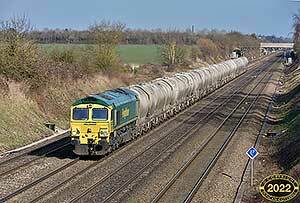 It's now the second largest rail freight operator in the UK. Great Western Trains was one of the first privatised passenger franchises, created in 1996 to operate former WR InterCity services. 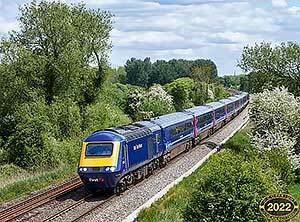 It has since expanded to include many local services as well, including suburban services from Paddington. Known for a while as First Great Western it has now adopted the name Great Western Railway with a matching green livery. 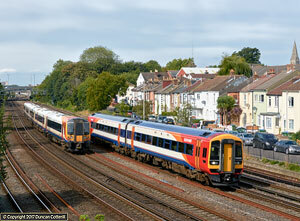 South West Trains took over the operation of passenger services between London, Portsmouth, Southampton, Weymouth, Salisbury and Exeter, as well as the suburban network in south west London and neighbouring parts of the Home Counties, in February 1996. 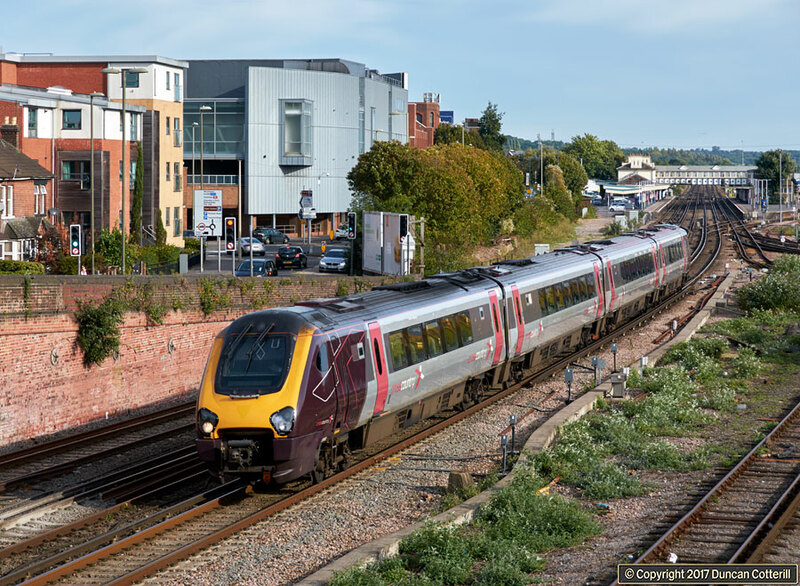 It operates a large fleet of 750V 3rd rail EMUs but also uses some DMUs, principally on the London - Salisbury - Exeter and Salisbury - Southampton routes. 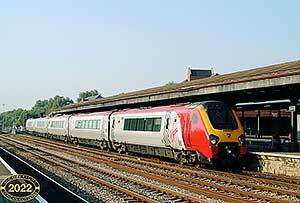 Virgin Trains operate services on the West Coast route and also had the Cross Country franchise from 1997 to 2007. This gallery currently covers Cross Country services in the Thames Valley.